One aluminium panel. Size: 1800 x 600mm *This large item cannot be shipped outside of Tasmania for free or flat rate shipping. 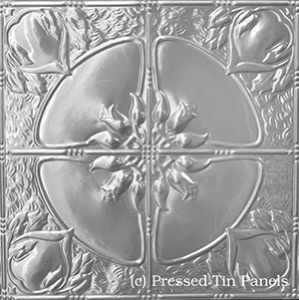 Please feel free to browse other available panels at www.pressedtinpanels.com and contact us to place an order (email shop@reliquaire.com or call 6426 2599) *This large item cannot be shipped outside of Tasmania for free or flat rate shipping. One aluminium panel. *This large item cannot be shipped outside of Tasmania for free or flat rate shipping.